Your home's value plays a key role in the amount of equity you have. If your home's value drops, your equity -- the amount of your home you actually own -- will also drop. This becomes important when you're selling a home or seeking to refinance your existing mortgage loan. To determine your home's value -- and, by extension, the amount of equity you have in it -- your lender will rely on a real estate appraiser. Your equity is the difference between what you owe on your mortgage loan and the value of your home. If you owe $100,000 on your mortgage loan and your home is worth $180,000, you have $80,000 equity in your home. Your equity matters when you want to refinance your existing mortgage to one with a lower interest rate. Most lenders require that you have at least 20 percent equity in your home to qualify for a refinance, something that might prove challenging if your home's value has dropped. Equity matters, too, when you're selling your home. You'll have to pay your real estate agent's commission -- usually 6 percent of your home's sale -- and other costs when selling. If your home's value has fallen and your equity has dropped, you might see your profits from a sale take a similar tumble. Your home's value will fluctuate. To determine your current value, your lender will send a real estate appraiser to your property. 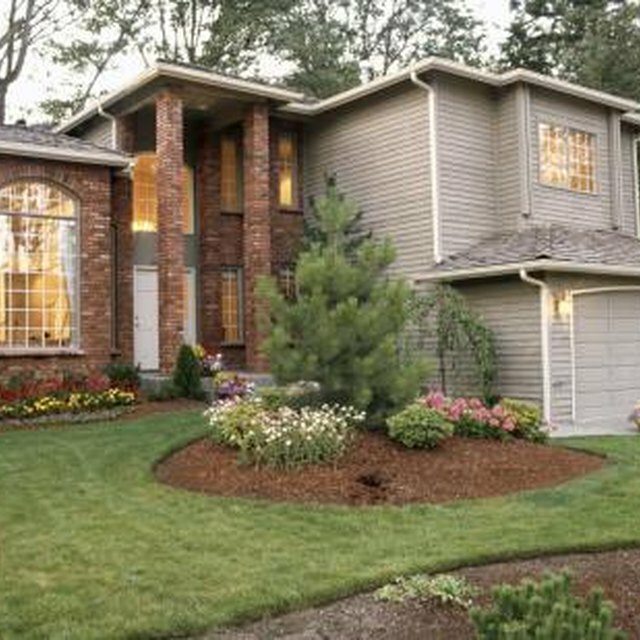 This professional will look at your home's inside and outside to determine how much it is worth. This is not a free service; though costs vary by appraiser and location, you can expect to pay from $400 to $500 for the services of an appraiser, a cost your lender will pass on to you. To determine your home's value, an appraiser will study recent sales of similar homes in your vicinity. If you are selling or trying to refinance the mortgage on a two-story Victorian home, your appraiser will study the sales prices that other Victorians in your neighborhood have fetched. These prices will serve as a starting point for your appraiser. Not all nearby home sales will matter. Your appraiser won't consider the sale of a Victorian two doors away if you're trying to sell a 1970s ranch home. The two home types aren't similar enough. What if Your Home Does Not Appraise for What You Owe on It? Your appraiser will consider several other factors in determining your home's value. If you've made significant improvements to your home -- such as renovating the kitchen or adding a master bathroom -- that will boost your home's value. Your home's value can also rise or fall depending on its age or size. If your appraiser notices serious problems -- such as a sinking foundation or leaking roof -- your home's value can fall. Realtor.com: What is a Property Appraisal?